Finding old black and white photographs hidden in drawers or on the shelves of antique stores is one of my favorite things. Those photographs seldom have identifying information on the back. As a result, my mind will wander and make up stories about whoever happens to be in the shot. When I stumbled upon my last read, I knew it was meant to be, based purely on the cover. When I read the description, I was even more hooked. 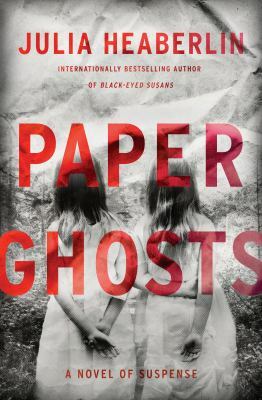 Paper Ghosts by Julia Heaberlin is a mysterious murder plot of a book. Carl Louis Feldman is a documentary photographer living in a home for suspected serial killers who have mental issues. It’s thought that Carl has dementia. Certainly all the symptoms point to it, but the fact that Carl is not in prison at the moment for his crimes leads a mysterious young woman searching for answers to his doorstep. This young woman has been obsessively searching for answers to her sister’s disappearance since she was twelve years old. She has been waiting to meet Carl and has planned, researched, and trained in every way possible. Showing up where Carl lives and breaking him out of the home is the easiest part. Now she and Carl are traveling across Texas to three red dots marked on her map as she works to see whether or not Carl is guilty of murdering all these women and of kidnapping and murdering her own sister. Carl might be a serial killer. He might have dementia. He might not remember committing a string of violent crimes across Texas that match up with a series of famous photographs he took. This woman doesn’t believe anything Carl says and hopes that this road trip will help her figure out the truth about Carl and what happened to her sister. This novel could have gone many different ways. I found myself constantly wondering what was going to happen to Carl and this mysterious young woman. Was he faking? Was she going to kill him? Would either of them ever find answers? I was hooked cover to cover. Give it a read and let me know what you think. When I was working on my ordering, I stumbled upon the name: B. A. Paris. For some reason, I thought she was a well established author already and decided to give her newest book a try. Later when I began listening to said book, I looked her up on Fantastic Fiction, one of my favorite author websites. Low and behold, Paris was not an established author! Her first book, Behind Closed Doors, had only been released in 2016. I’m glad that I decided to pick up her newest book, The Breakdown, on a whim and give it a listen. Try it. You won’t be disappointed. 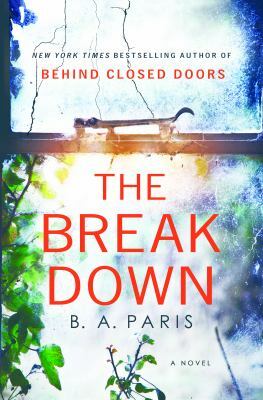 The Breakdown is Paris’ second novel. In this thrilling piece of suspense fiction, Paris searches for the truth around a murder investigation. Cass is a school teacher on her way home from work, itching to begin her much needed summer break. A major storm has hit her area making her drive home more treacherous than it usually is. There’s a shortcut between her school and her house that she usually takes, much to her husband’s chagrin. Calling him before she leaves, her husband tells her not to take the shortcut because even on a clear weather day, that isolated wooded road is difficult to drive on. Taking a major road on the way home, Cass is almost run off the road and makes the split-second decision to take the short-cut home. Almost home, Cass sees a stalled vehicle pulled over on the side of the road. She stops to help, but the weather picks up and Cass decides to leave and call the authorities when she gets home to alert them of the stalled vehicle. The next morning, the news reveals that the stranded driver had been brutally murdered the night before. Cass is immediately thrown into great turmoil. When she drove by, the driver was still alive and according to the timeline released by the authorities, was killed most likely right after Cass left for home. Did she see who did it? Was the murderer in the car? If Cass would have exited her car to help the driver, would the driver have been saved or would Cass have been murdered as well? Should she call the police and let them know she saw the driver? What should she do? These questions and so much more race through Cass’s mind all day and night. Her life becomes consumed by guilt and the nagging thought that she failed and could have saved the driver. Add in the fact that Cass’s memories are starting to fade, Cass begins to immediately doubt herself. Her mother suffered from dementia and Cass is worried that she has it as well. Cass’s worries about her health and her massive guilt over not stopping to help the stranded driver exacerbate her confusion. She starts to forget way more things than usual. Cass mixes up dates, forgets purchasing things, and becomes increasingly paranoid. Her worry over the driver ratchets up several notches when she starts receiving silent phone calls that she is convinced are from the murderer. Her husband and best friend are very supportive, however, and Cass finds herself relying on them more than usual to get through this turmoil. If only the two got along better, then Cass’s life would be even easier. Nevertheless, she knows that they will stick by her and support her as she works through her issues. This book was riveting and had all the necessary crazy, psychological twists that I love in suspense thrillers. Each character is very well-developed and fits neatly into this intensely twisty, clever, and engrossing plot. I was definitely caught off guard when the twist happened, so much so that when I finished this book, I immediately put B.A. Paris’ other novel on hold! No one likes to hear the news that a loved one has been diagnosed with Alzheimer’s disease or some other form of dementia. Suddenly you are the caregiver of someone with a neurocognitive disorder and you have no idea what that means. What is dementia? What do you need to do in order to take care of your loved one? If you are in this situation and you have questions that need answers, then you should check out The Dementia Caregiver by Marc Argonin. Even though the title of this books states that it is a guide, I would call it a manual. This well researched book, (with well documented notations in the back of the book) explains what you need to know about neurocognitive disorders. There are chapters that describe the different disorders on the spectrum, such as Alzheimer’s disease, vascular dementia, frontotemporal dementia and dementia with lewy bodies. Other chapters describe caregiving during mild stages, moderate stages and advanced stages. The author also addresses known side effects such as depression, anxiety, apathy, sleep problems, agitation and psychosis. 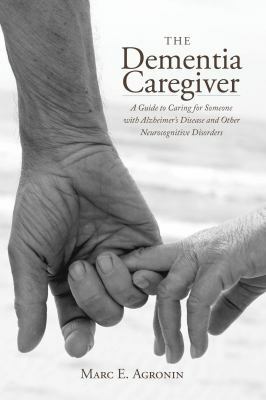 Even though there are a lot of chapters devoted to learning about dementia, there is also a lot of information for the caregiver. This book details information on long-term care and legal issues. There is a wealth of information on resources such as the Alzheimer’s Association, Medicare, Geriatric Care and Elder Law. And most importantly, there is information for caregivers on how to take care of themselves! Caregivers need to be healthy too!